Girls’ schools are more relevant today than ever before. 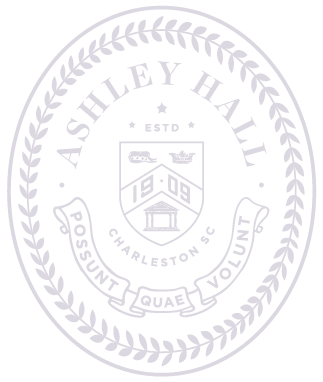 As the only all-girls’ independent private school in South Carolina, Ashley Hall is uniquely positioned. Our exceptional program is intentionally tailored to the way girls learn best—through collaboration, discussion, and individualized attention. When girls are encouraged at an early age to feel free to pursue an interest in science or math or any other challenging endeavor, they are more likely to retain their enthusiasm and curiosity into their adult careers. For over 100 years, Ashley Hall has been committed to the same clear mission: To produce an educated woman who is independent, ethically responsible, and prepared to meet the challenges of society with confidence. We constantly seek to create opportunities for students to assume responsibility for their learning, both in and out of the classroom. The results are remarkable. Our graduates continue to impress with more than $14 million in merit scholarships garnered over the last five years, including three University of North Carolina Morehead Cain Scholars, one of the most prestigious scholarships extended.